As the new school year approaches and kids get their supply lists, the summer smells of freshly mown grass and sunscreen fade away and are replaced with the scent of pencils, paper and books. But have no fear parents, tax-free weekends are back — and just in time for back-to-school shopping. 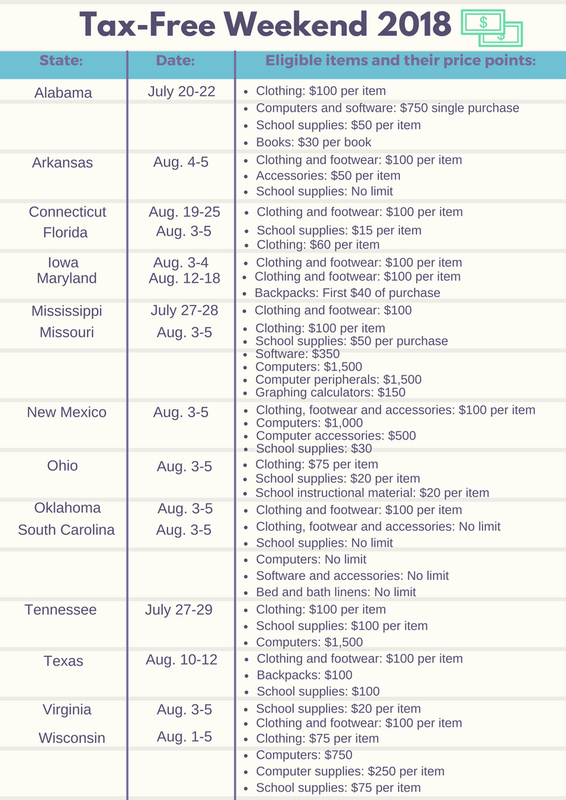 Check out the chart below to find a list of participating states, what you can get tax free and when. Editor’s note: This story is distributed to multiple E.W. Scripps Company news organizations, and information included may not apply to your state.